Where the rare is commonplace. ​Kissimmee Prairie Preserve State Park protects the largest remaining tract of the unique Florida dry prairie ecosystem, one of the biologically richest grasslands in the world. Its 54,000 acres contain a mosaic of dry prairie, wet prairie, marshes, sloughs, cabbage palm and oak hammocks, flood plain—no less than 14 distinct natural communities —which support a vast and diverse array of flora and fauna, including a number of endangered or threatened species. It is one of the last places to find the Florida Grasshopper Sparrow, "perhaps the most endangered bird in the continental United States." This is the land made famous by author Patrick Smith in A Land Remembered. 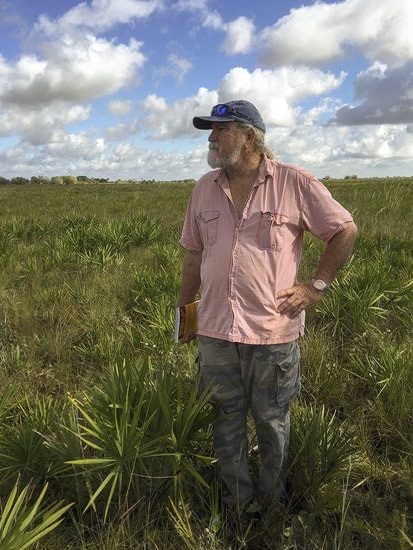 Roger Hammer and Craig Huegel will once again be co-leading wildflower walks at Kissimmee Prairie Preserve, April 27, 2019. Roger and Craig will combine their personal passion and extensive knowledge of Florida's flora, along with their well known wit and humor, to educate and entertain. Participants may also sign up for a free 45 minute buggy ride in the prairie. Each walk (AM and PM) will be limited to 20 participants. Members get a discount on registration fees. If you aren't a member, please join us to be sure to get your place in this fun bi-annual event. ​It sells out quickly! REGISTER HERE! Friends of Kissimmee Prairie Preserve, Inc. was formed in 2011 to work for the preservation, protection, interpretation and promotion of and in the best interest of Kissimmee Prairie Preserve. 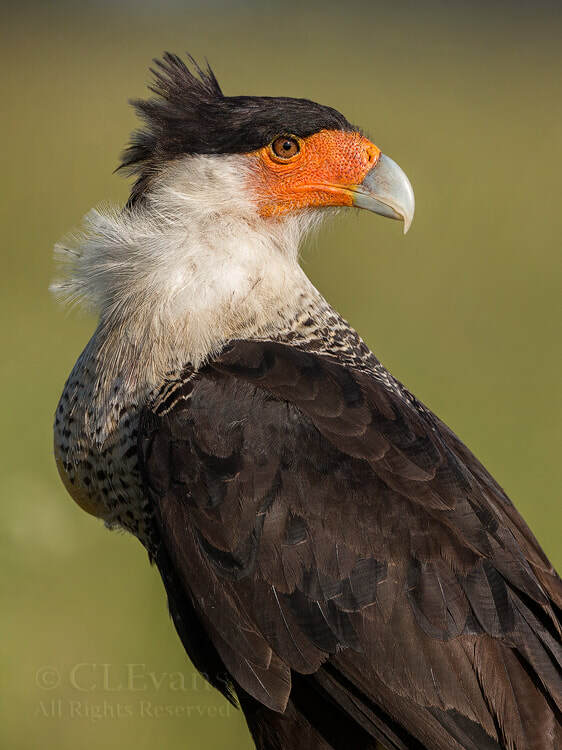 The Friends is a Florida not-for-profit 501(c)(3) corporation and relies on membership fees and private donations to pursue activities on behalf of the Preserve.